Green Bank Farm is historic, modern and fresh; a property of nostalgic Beauty, filling the eye and senses with magic and tranquility. 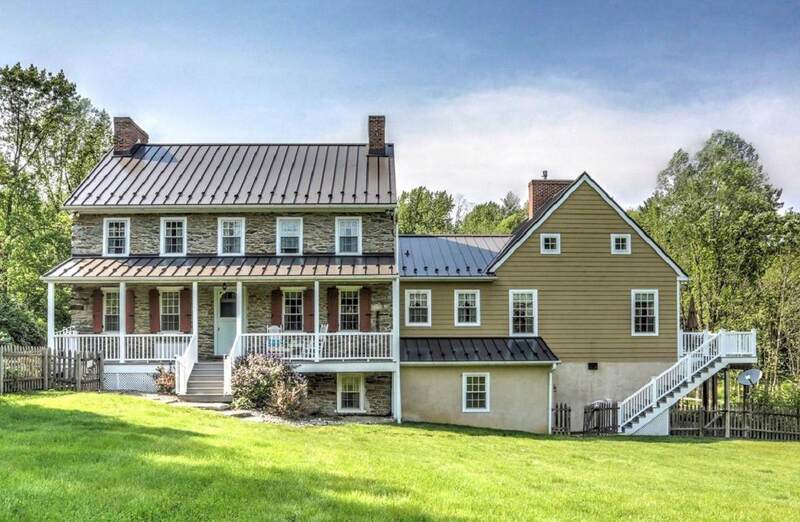 Offering low Lancaster County taxes, 2 combined tracts of 36.7 acres under one deed, Clean & Green and Lancaster Farmland Preservation Trust. Approx acreage of all tracts yields 7 wooded, 20 well-drained tillage, and 10+ in pastures and buildings. 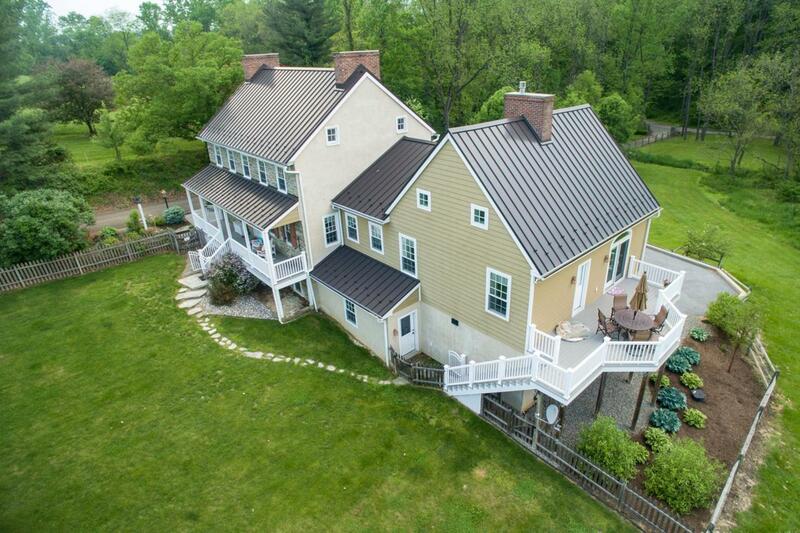 Circa early 18th century, a simple homestead was carved from the woodlands of southern Chester County. The homestead became a farm, complete with carriage house, bank barn and livestock house; the county became Lancaster and the families, feeling its magic and solitude, eventually established Green Bank Farm. Thick stone walls, random width boards, kitchen fireplace with beehive kiln to bake luscious breads of homegrown crushed wheat served the families well. Center hall, transom lites, original paneling, random width floors, thick window sills, 9 over 6 windows, original brick floor, 5 bay Federal design, black strap latches, cross & bible doors, wainscoting, and chair rail echo colonial Federal period. As the farm continued its splendid evolution into a gentle farm preserving more historic touches, such as 8 fireplaces, stone walls, functioning pay drawers and the old kitchen, modern amenities were added. 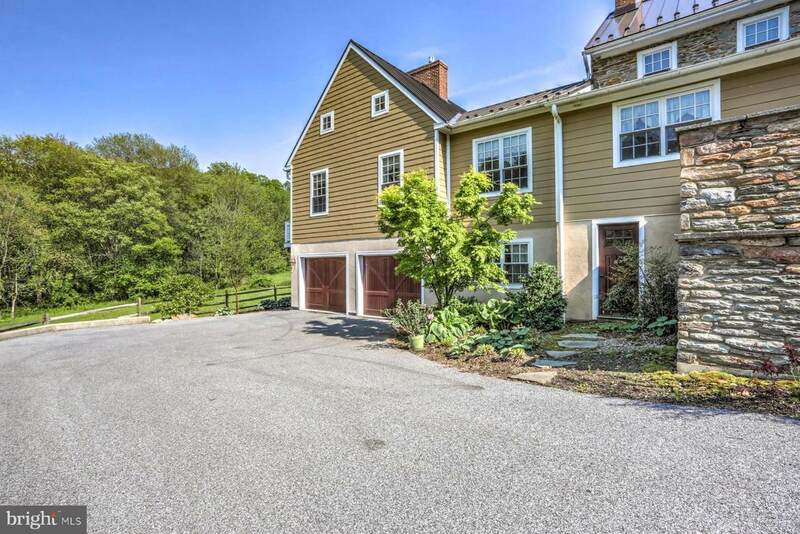 Heated 2 car garage, Re-imagined new Kitchen, Granite counter tops, SS appliances, acoustic music room, ensuite first floor Master Bedroom, security gate, numerous touches of nature-inspired art, enhance the charm seen today. Covered porch, spacious patio and generous deck provide outdoor entertainment space with scents of nature perfuming the air, as fireflies dance in the moonlight. 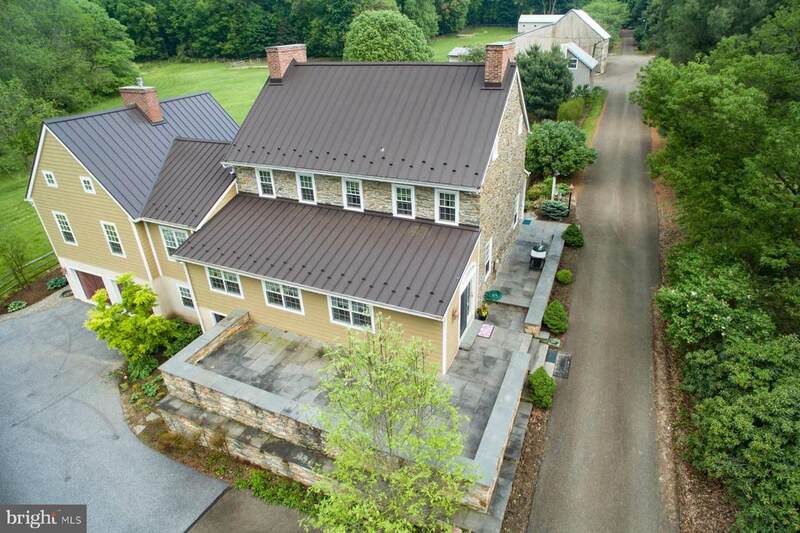 Walk the homestead grounds amidst buildings like the converted bank barn with 2 garage spaces and horse bays inside and out, the exposed beam carriage house, the livestock house now garage space. An outdoor riding ring; a run-in shed, 3 pastures can feed and auto water pets, livestock and horses, fields can be planted, geothermal heating and cooling make the farm truly comfortable. 20KW generator backups up the farm's power sources. Woodlands can provide hiking and riding trails with Reynolds Run gentling gurgling by. Nearby large cities, major highways, ball fields, golf courses, hunting and fishing round out the modern living experience. Carriage house is currently pending zoning approval as a second residence.